Tank reactors and mixers typically consist of a cylindrical vessel and one or several impellers, which can be of different type and shape. Baffles connected to the vessel wall are often included to aid in the mixing by impeding swirling flow, while sometimes heating pipes and coils are also included to assist in chemical reactions and the like. What is evident here is that there are a number of parts that are rotating with respect to each other, and COMSOL models this using a sliding mesh technology. 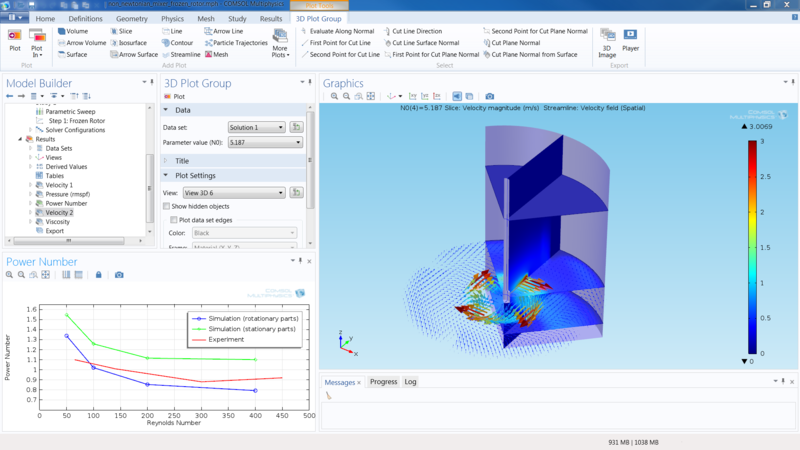 This is found in specific fluid flow interfaces for rotating machinery, which are featured in the Mixer Module, and which are integral to performing mixing simulations. A mixer with non-isothermal flow. Mixing models can be created assuming laminar and turbulent flow, where non-Newtonian fluids and non-isothermal flow can be automatically modeled by selecting the corresponding fluid flow interface. Some additional reacting flow interfaces in the Mixer Module allow for the easy definition of applications where chemical reactions are included also in combination with non-isothermal flow. 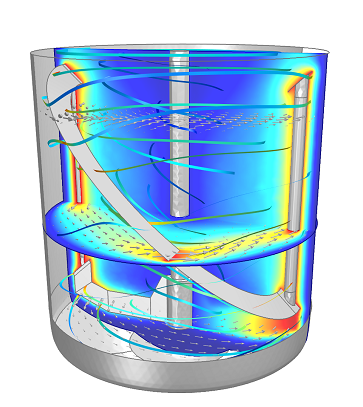 A predefined feature for free surfaces utilizes the moving mesh capabilities of COMSOL to model the shape of the liquid surface in a stirred vessel. Free surface simulations can be accomplished by considering parameters like contact angle and surface tension, in the free surface and in the three-phase contact zone with the wall of the vessel. 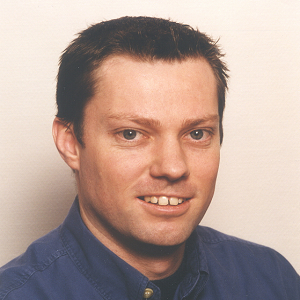 While using sliding and moving mesh technology gives you accurate simulations of mixers and their properties, such simulations are invariably computationally intensive. Therefore, the Mixer Module also supplies a method for simplifying mixer simulations through the Frozen Rotor feature. The method assumes that the vessel and baffles are frozen relative to the impeller, and centrifugal and Coriolis forces are added to the domain surrounding the impeller. This is done automatically in the fluid flow interfaces by selecting the frozen rotor study, and reduces computational time and resources significantly. The method is appropriate in mixers without baffles or where the influence of the baffles only needs to be estimated with a relatively moderate accuracy. The Frozen Rotor feature can also be used in applications like centrifugal separation in microfluidics and to estimate pressure losses in flow with rotating machinery in general. The Frozen Rotor feature in the Mixer Module. You see, a high-fidelity simulation using the Rotating Machinery interface requires the time dependency to be modeled until a pseudo-stationary flow is reached. Often, you’re only interested in this pseudo-stationary state for the flow, as this is basically the situation in which the mixer will be operating. Yet, a lot of computational resources are wasted through simulating the start-up time of the mixer, from when the fluid is at rest until it reaches its basic mixing pattern. Using the Frozen Rotor feature, you can get a pretty good estimate of what this pseudo-steady state would look like. Then you can use this as the initial guess for a full simulation using the Rotating Machinery interface. This will bring you to your final solution much quicker; what might have taken 50 time steps, may now only take ten. A few other useful features are included in the Mixer Module that augment your ability to simulate mixers. This includes a number of libraries containing fluids and their properties. Also, a couple of specific models have been included where features such as vessel shape and impeller blade number, shape, and pitch can be interchanged and re-sized depending on the application. These types of models mirror reality, as mixer parts are often interchanged on the fly as they are used to model different fluids and mixing regimes. Want to learn more about this new product? Check out the Mixer Module page.